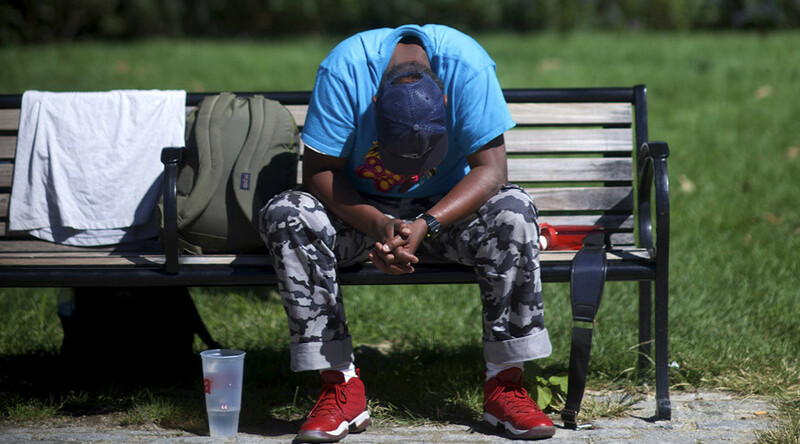 The state of Utah has cut its number of chronically homeless people from 2,000 to 200 since 2005 after shifting away from an approach that required individuals who sought housing to prove that they have been alcohol and drug free. Although Utah still contains 14,000 people considered homeless, the gains the state has made, especially against long-term homelessness, are turning heads. A recent report released by the Utah Housing and Community Development Division underscored how the state, with a population of nearly three million people, employed a model known as Housing First to severely reduce homelessness. The model was adopted by the state about ten years ago, when Lloyd Pendleton, who at the time ran humanitarian services for the Church of Jesus Christ of Latter-day Saints. He became a champion of Housing First, convinced that the less-harsh approach would cost the public far less than expenses that come with chronic homelessness – defined by the federal government as someone who has been continually homeless for more than a year, or four times in the past three years, and who are living with a "disabling condition." The US Department of Housing and Urban Development says that, on average across the US, public costs reach between $30,000 and $50,000 per chronic homeless person given visits to the emergency room or detox centers, or for periods of incarceration. The state's Homeless Task Force found that Utah pays out $19,208 on average per year for reach chronically homeless person. To provide a house and case worker, on the other hand, costs around $7,800, according to Pendleton. 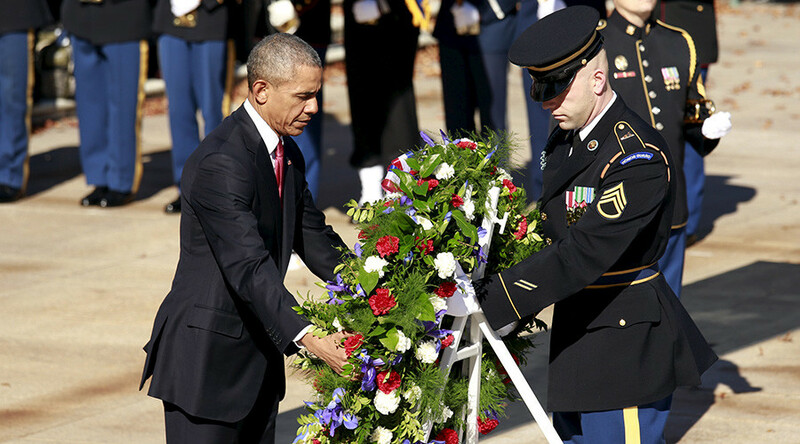 "It's more humane, and it's cheaper," Pendleton told NBC News. "I call them 'homeless citizens.' They're part of our citizenry. They're not them and us. It's 'we.'" In 2005, Utah implemented what it called its Ten-Year Plan to End Chronic Homelessness and immediately saw results, drawing attention from around the nation for its successes even though some US cities had already implemented the Housing First approach. The model relies on increased access to "permanent supportive housing" for the most needy, in addition to mental and physical health treatment services, substance abuse programs, education, and employment opportunities. "I get probably two to five calls a week now, wanting to know how we did it, what's unique about Utah, because it can be done," Pendleton told NPR. Under the model, clients looking for housing still must pay some rent, either 30 percent of income or up to $50 per month, according to NPR. Some attribute the state's gains in combatting homelessness to the its relative small size. Others point to the support the Housing First model has with the Church of Jesus Christ of Latter-day Saints, a major force in the state. And not least, many advocates and government agencies work together to fit a the right person in need with a housing situation that they believe will allow the individual to thrive. 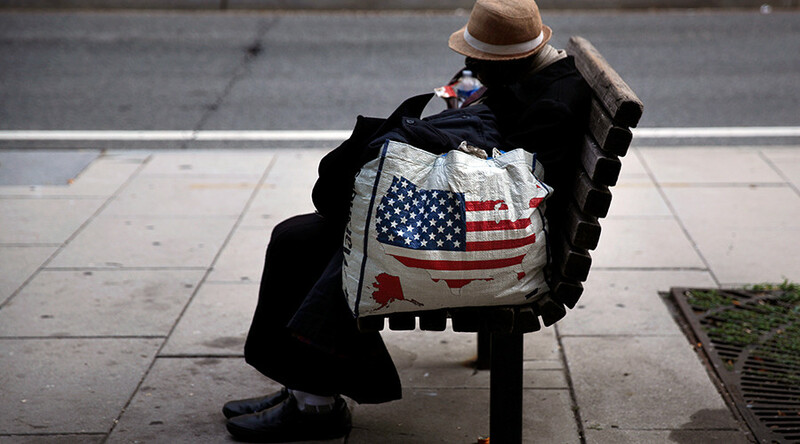 Last month, HUD reported a two percent drop from 2014 to 2015 in the overall number of homeless in the US, assessed in a one-night, nationwide survey. The approximately 565,000 homeless counted by HUD during the point-in-time survey in January also represented a 11 percent drop from 2007. HUD's report found that 17 states, including New York and California, saw increases in homelessness this year, while 33 states and the District of Columbia had declines. Florida, Texas, Georgia, Michigan, and New Jersey had the biggest drops. Yet cities like Los Angeles and New York City are continuing to struggle to meet the needs of its chronically homeless population. New York announced new affordable housing initiatives in November, while Seattle, which has seen a 22 percent rise in homeless in recent years, has just approved two homeless camps amid what the mayor has dubbed a state of emergency. About 1.49 million people across the US used a homeless shelter in 2014, a 4.6 percent rise from 2013, according to HUD. There are an estimated 50,000 homeless vets nationwide in 2014, a 33 percent drop from 2010, according to the federal government. Last month, Virginia claimed to be the first state to end overall veteran homelessness, or at least to offer housing to homeless veterans whether they accepted the offer or not. 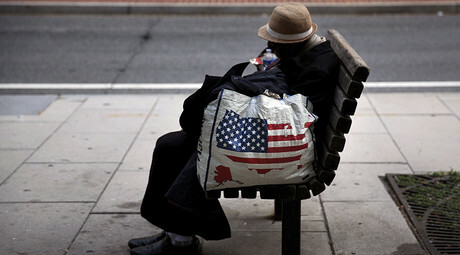 In August, Connecticut said it was the first state to end chronic homelessness among veterans. Utah is currently participating in the Zero:16 campaign – an initiative that aims to end chronic homelessness by next year. Joining Utah in the campaign are the states of Connecticut, Rhode Island, and New Mexico, as well as 71 individual communities across 30 states and the District of Columbia.